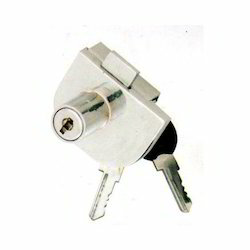 Leading Manufacturer of glass lock, sliding glass lock and double door glass lock from Aligarh. 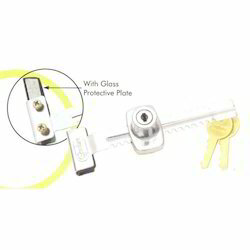 We are occupied in providing Glass Lock to the customers. Our presented productis highly admired in the market for their exceptional quality. A team of quality checkers also check the quality of offered products to make sure the durability and reliable performance. Best professionals used latest manufacturing unit to build these products in massive and urgent requirements of our patrons. Our Company is amongst the leading names of the industry by offering an extensive range of Sliding Glass Lock to the clients. Our entire offered product range of this product is easy to use. Our entire product range is highly durable in nature and is offered with varied specification. These products are highly effective for preventing shoplifting from showcases in shops and showroomsand come within budgetary limits at stipulated period of time. Being a well-known organization, we are engaged in offering an exclusive range of Double Door Glass Lock to our valued customers. The offered range of product is made from optimum quality materials that is sourced from reliable vendors from the market. Our offered products are dimensionally accurate and compact in design. We are offering these products at most competitive rates. These products are used in various industries for safety purpose. 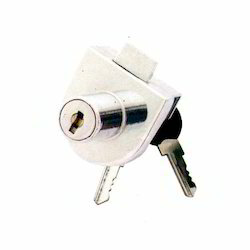 Looking for Glass Locks ?